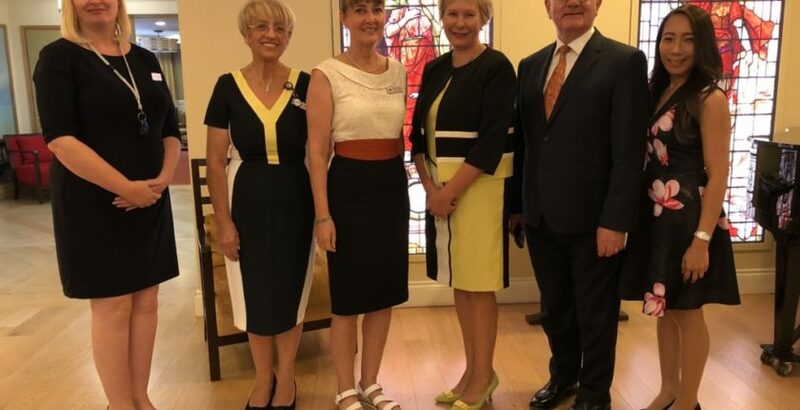 The Royal Star & Garter Homes has been praised by Health Education England (HEE) chairman Sir Keith Pearson and chief nurse prof Lisa Bayliss-Pratt, following a recent visit. They visited the charity, which cares for veterans and their partners who live with disabilities and dementia, to see quality care in action and discuss the new nursing associate role. Following their visit, they said they were ‘blown away’ by the compassion and quality of person-centred care they witnessed when shown around the Surbiton home earlier this month. Pearson said: “We’ve learnt a great deal about how to provide care, particularly care for people living with dementia. “I think the thing that has really resonated with me is the care, the compassion, the dignity, the respect we have seen here. Bayliss-Pratt agreed: “I’ve been overwhelmed and blown away by the kindness, the thoughtfulness, and the fact that people are really thinking about ‘how do I care really kindly and compassionately?’ for these residents. The Royal Star & Garter Homes provides learning opportunities for trainee nursing associates from St George’s University Hospital and Kingston Hospital.